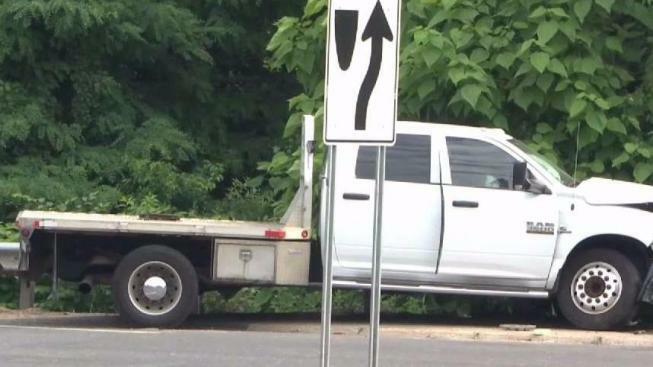 Two adults are dead and another is hospitalized after a Mazda sedan and a white utility truck crashed near Route 8 North in Waterbury around 8 a.m. Friday. Witnesses said the crash was horrifying. "It looked pretty bad," said Eric Mota, of Bristol. He said the passenger side of the car was mangled. Both of the people killed were in the car, which has been covered in a tent. Police said both were adults, but have not released any additional information about them. The driver of the truck was also injured and that person's injuries are described as not life-threatening. A car seat was on the ground at the scene and first responders thought a child might be involved, but there is no indication that anyone under the age of 21 was hurt in the crash, which happened at the exit 35 and East Aurora Street ramp. The ramp, as well as Route 73, are closed.